Big up the one and only Charlie Harper (good bloke) and ain’t he looking good at 69! The last time we mentioned him was a couple of years ago (read here). 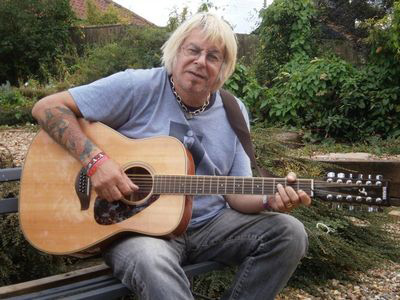 We found this by accident last night from Pete Davies’ website (the original drummer in The UK Subs) about a musical project he was involved in called Charlie Harper’s Harbour Rats. It sounds well mad stuff with Charlie on vocals and a band including double bass and mandolins and that even cover “Warhead” in a punk/folk stylee. They sound like a band that you should be listening to at your local pub on a Sunday night sending you into a nostalgic frenzy, doing the punk kicking dance (not for too long though as the heart can’t handle it! ), feeling sick and shouting things on the way out like “I’m not going into work tomorrow, I’m no sell out” then buying a packet of chips on the way home and refusing to put the chip paper into the litter bin shouting “F the system” and feeling very silly the next morning. Here’s to more years Charlie!